100 years later a group of musicians and blues dignitaries met at the place where W.C. Handy first heard the blues. This was the first historical documentation of the blues and from this event Congress declared its centennial “The Year Of The Blues.” Photo taken October 12th, 2003 in Tutwiller, Mississippi by Robert Jr. Whitall. L-R back: Richard Ramsey, Kinney (Malone) Kimbrough, Gary Burnside, Nina T. Davis, David Hughes. Eb Davis, Jim O’Neal, Cedric Burnside, Bob Corritore, Tatum The Music Maker, Willie J. Williams, Jay Sieleman, Rick Asherton, Travis Hodge, Layla Musselwhite (Charlie’s daughter), Diunna Greenleaf, Henri Musselwhite, Bob “Mississippi Spoonman” Rowell. 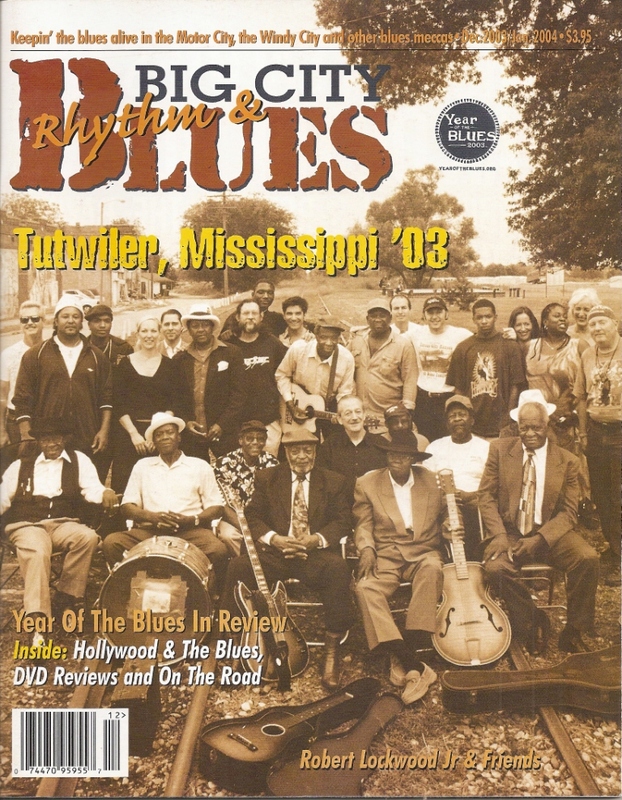 For more information on Big City Blues Magazine check out their website.